As a freelance blogger for StoryTeller, I write 450 to 500 words for each blog post for its clients. 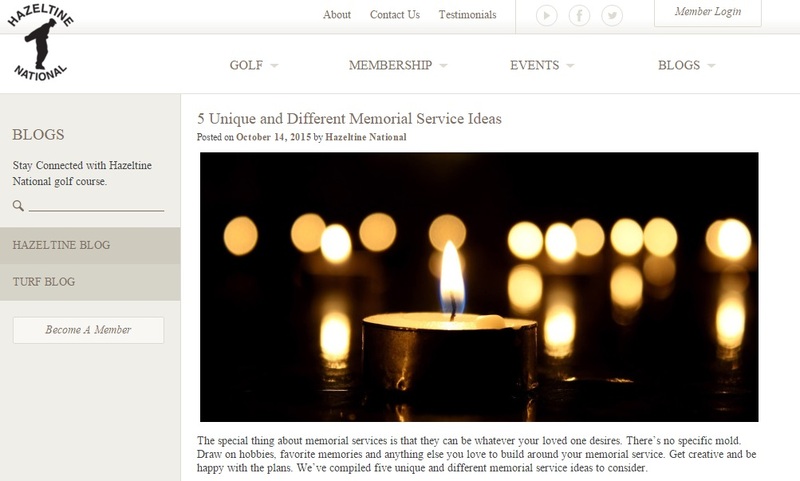 The bulk of my work has been writing blogs for Hazeltine National Golf Club, a private club in Chaska, Minn. I'm given a headline/topic for the blog post, and then I use internet research and articles to find information. Below are some blogs I've selected to highlight.